I suppose this is only relevant when you get to the same level with cinnamon as with high octane gasoline or fine wine or whatever. Meaning, when one really wants to get into the true health and healing properties of this superfood, take advantage of the real essential oils from ancient Ayurvedic formulas, as I have got amazing results from my pre-shave Facial mask, as well as the amazing properties of cinnamon as a health food (especially when combined with honey), like in my Electrolyte Water for workouts, or simply added to straight to food, then you'll probably want to take your cinnamon a little more seriously. The entire article on real Ceylon Cinnamon vs. the more common Cassia Cinnamon can be found here, but above is their checklist for spotting real cinnamon. Actually it's perhaps easier than that because Whole Foods and other stores carry Ceylon Cinnamon, you really just have to read the label (assuming the company is legit), if it doesn't specify, it's probably Cassia cinnamon. 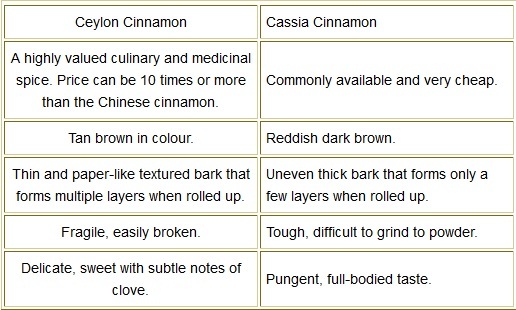 I have seen and acually bought Vietnamese Cinnamon also, but it seems that is in the same vein as Cassia Cinnamon. I bought a pound bag of Frontier Herbs organic cinnamon (don't laugh, I been using quite a bit lately, I love to buy bulk), and what they say is true; open the bag, and when the aroma hits you, you know it's something different and special. <<<<<<<<My Top 10 "Super Spices"
Great post alerting us to yet another fake-food scheme! So tired of fake olive oil, fake honey, fake cinnamon … I buy our spices from Frontier as well and I love their products, and I agree – nothing beats the REAL DEAL! Ceylon cinnamon comes from Sri Lanka. 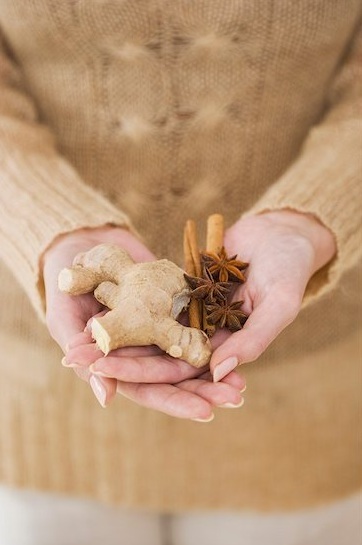 This spice is important among other cinnamon varieties, due to its low coumarin content. Ceylon cinnamon is not the cheap cinnamon generally available in your local store. Also known as true cinnamon, Ceylon cinnamon is rare and expensive. Should be come from Sri Lanka.